ESS 9.0 is a new modular lithium-ion energy storage which stores the generated surplus energy into battery modules for a later use. 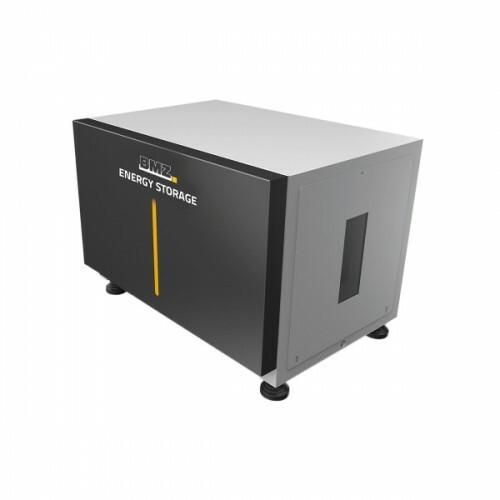 The inverter can then feed this power into the network or the energy storage. The power is available whenever it is needed: in the evening, at night and at times when there is little or no sunshine. With the ESS 9.0 storage system, solar energy users become less dependent on electricity prices and can use their own eco-power whenever they need it. The design of the system is based on a modular principle: Depending on the desired storage capacity, the battery modules can be adapted to the needs of the user. For the recommended configuration of the storage system, please refer to the product brochure.